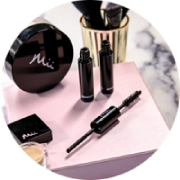 These terms and conditions (the “Terms”) are the terms which apply when you access the website https://www.miicosmetics.com (the “Website”) or place orders to purchase any of the products made available to you on the Website. Any reference to “we”/”us”/”our” in these Terms is a reference to Gerrard International Limited (owner of Mii Cosmetics and miicosmetics.com) and any reference to “you”/”your” means you, the user of the Website. By accessing this Website or when you place orders to purchase any of the products on the Website you agree to be bound by these Terms. We recommend that you keep a copy of these Terms for future reference. These Terms are only available in the English language. If you have any questions, complaints or comments on this Website then you may contact us on info@miicosmetics.com. Once you have placed an order for goods you will receive a ‘Confirmation Email’ that your order has been received (see below). This email will include a summary of the details of your order, which we would recommend that you print out and keep for your own records. The ‘Confirmation Email’ does not constitute our acceptance of your order; it merely records the fact that you have placed the order. Please check that all details in the ‘Confirmation Email’ are correct. If not, or if you do not receive a ‘Confirmation Email’ please contact us on info@miicosmetics.com. You are responsible for maintaining the confidentiality of your password and account details and are responsible for all activities that are carried out under them. We do not have the means to check the identities of people using the Website and will not be responsible for losses suffered by you where your password or user name is used by someone else unless this is due to our negligence. You agree to notify us immediately by email to info@miicosmetics.com or by phone on +44 (0)345 217 1360 if you become aware or suspect any unauthorised use of your password or username. You agree that in using the Website you will not: (i) use the Website in any way that causes, or is likely to cause the site or access to the site to be interrupted, damaged, or impaired in any way; (ii) use the Website for any purpose that could damage the name of miicosmetics.com, Mii Cosmetics (and associated sub brands) or Gerrard International Limited or any goodwill attached to the Website; (iii) use the Website for criminal, fraudulent or illegal activity or in any manner which would cause harm or distress to any third party; (iv) access or attempt to access the accounts of other users or attempt to penetrate the Website security measures; nor (v) use the Website for any purpose other than your personal use. 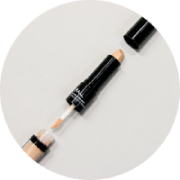 If you wish to make use of any material on our Website other than that set out above, please address your request to Info@miicosmetics.com. Please let us know if you have any questions or complaints regarding the Website. 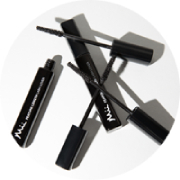 You can contact us by emailing info@miicosmetics.com or writing to us at the following address: Gerrard International Limited, NNC House, 47 Theobald Street, Borehamwood, Hertfordshire, UK, WD6 4RT. Winners of any review competition will be notified by email. Failure to respond to our notification email within 20 days will result in the prize being forfeit.